The outline of the challenge was simple: “five days, three mountains, lots of cycling”. Simple, but incredibly ambitious. The aim was straightforward: raise money, break the stigma. Unfortunately, because of the beast from the east the weather was terrible. As a result, it was impossible for Greg to cycle on to peak number three. However, despite not climbing three mountains in five days, the challenge was far from unsuccessful. How is Greg breaking the stigma? The challenge was more than physical endurance. It’s aim was to raise awareness for mental health issues. Various DJs on Radio One discussed the importance of being open about mental health. Consequently, listeners were encouraged to get in touch with their personal struggle. This helped people understand that they are not alone. If you are struggling with your mental health, check out our article on how to get help. There was also a wave of support from high-profile celebrities including Demi Lovato and The Rock, Dwayne Johnson. People across the country braved the snow to cheer Greg on. This demonstration of support shows how people can come together in times of need and is a poignant reflection on how we need to support those suffering with ill mental health. The money raised through Greg’s “Gregathlon” challenge funds projects which support people struggling with mental health problems. 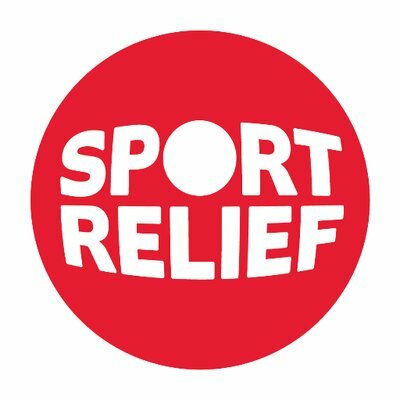 Since last year, Sports Relief has put money towards helping more than 50,000 people. £10 could pay for two weeks of travel to combined surfing and therapy sessions for a young person in South Africa, who’s experienced violence or abuse. £20 could pay for a counselling session for a young person who has experienced sexual exploitation, helping them to take their first steps towards recovery. £30 could train local child protection groups in Sierra Leone to identify and care for children with mental health problems. With these donations, the charity can carry out projects to increase awareness and reduce the stigma. Pedal to the peaks has raised over seven hundred thousand pounds in the space of a week. Greg is going to tackle Ben Nevis as soon as the weather permits. The donations remain open. To give £5 to the cause, text GREG to 70205, or follow this link. ← Is My Vaginal Discharge Normal?